In 2008, China took the Olympics by storm after hosting a stunning Summer Games. Now, with hundreds of new golf courses in some form of construction or development, China is positioning itself to do the same with golf. At every level of the game, from junior golf to the PGA Tour, China is serving up nothing but red-hot numbers when it comes to golf. In some respects, China and its massively expanding middle class, fueled by unthinkable double-digit economic growth, represents a modern-day golfing gold rush with anyone and everyone seemingly associated with golf heading to China to do business. What golf companies and coaches are finding in China is one of the few countries actually building and opening new golf courses, and a growing need to teach, train and outfit a sports-mad nation quickly making a name on the junior golf circuit. Names like AJGA trailblazer and former University of Florida player Mu Hu, 2010 U.S. Women’s Open qualifier Yueer Cindy Feng of Orlando and AJGA Rolex All-American Simin Feng of Orlando, and AJGA Gary Gilchrist Junior All-Star Series All-American “Amy” Xin Wang, who recently went back to China to be with her national team after two years of training full-time at the Gary Gilchrist Golf Academy near Orlando. Of course, there are dozens of other successful Chinese Taiwanese junior golfers playing the game in America, many of whom are living and training full-time at GGGA and other junior golf academies like IMG. To be sure, Chinese golfers have years to go before they start to penetrate the professional ranks. However, if the recent wave of top-flight Chinese junior golfers is any indication, Chinese golfers could one day follow in the Footjoy steps of their Korean neighbors. 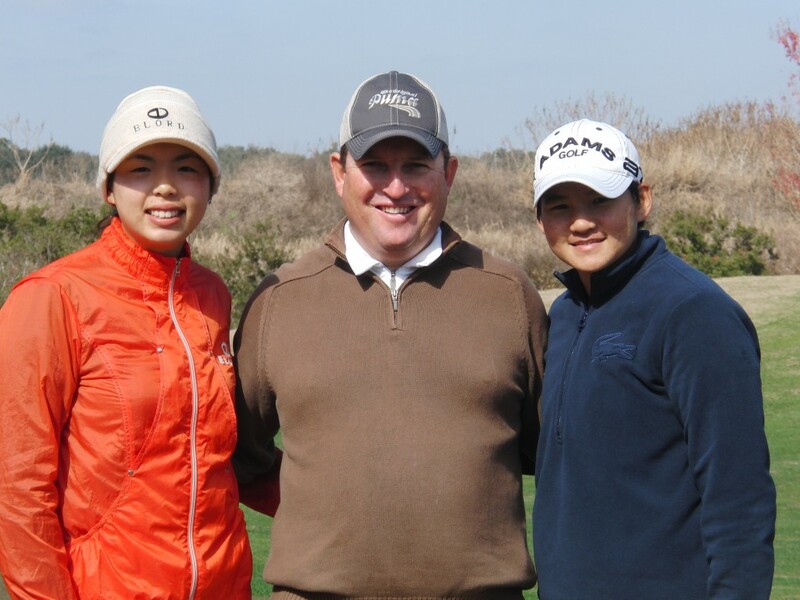 One coach who understands the Chinese golf wave as well as anybody is Gilchrist, who has trained more than 75 AJGA All-Americans in his storied 16-year junior coaching career. Besides having numerous talented Chinese golfers at his current academy, based at Mission Inn Resort in Howey-in-the-Hills, Fla., Gilchrist also coaches “Jenny” Shanshan Feng, China’s first and only player on the LPGA Tour, and LPGA Tour star Yani Tseng, a Taiwanese golfer who already has two LPGA Tour major tournament victories to her young career. In late May, Gilchrist returned from his second ever trip to China, where he conducted two weeks of clinics for young budding golfers in Beijing, Shenzhen, Shanghai and Hainan Island. Dubbed the American “Gold Medal” Golf Coach by the local Chinese press, Gilchrist says he certainly noticed a genuine surge in golf interest since his first trip back in 2007. “I truly believe China is now seeing golf as a benefit to marketing China and attracting people from all over Asia to come to China and play golf and build China as a golfing destination,” Gilchrist says. “But I still think China is a little bit behind in supporting junior golf. They’re not on the cutting edge just yet. The Chinese are very patriotic and it’s all about playing for their country. And how they can be the best in the world. One example of how serious the Chinese government is taking golf was evident in a Beijing meeting Gilchrist had with Zhang Xiaoning, vice president and secretary general of the China Golf Association. According to Zhang Xiaoning, who also oversees China’s rugby, billiards and snooker associations, China has plans to build the a 288-hole facility where golfers can live, train and play golf full-time – far exceeding massive the 12-course Mission Hills golf course development located in Guangzhou. The question, of course, is whether China has what it takes to be the next dominating country when it comes to golf, much like Korea did with the women’s game. Shanshan Feng, who earned LPGA Tour exempt status after finishing ninth at the 2007 LPGA Final Qualifying Tournament, knows full well the sacrifices necessary to get the highest level of golf after leaving her country at age 16 to train full-time under Gilchrist. Four years later, Feng, now 20, is not only thriving on Tour but she nearly won her first professional event at this year’s LPGA Tour Kia Classic in La Costa, Calif. Feng says she doesn’t feel the pressure of playing for an entire country, but she does recognize there are a lot of eyes watching her. “I think actually there are a lot of Chinese juniors playing now,” Feng added. “Either they study here (in the States) and the whole family comes to America or they practice in China and maybe come during the winter and summer and just play tournaments. Indeed, another junior golfer making a name for herself is Wang, who is on the fast-track through amateur golf as a member of China’s National Women’s Golf Team at age 15. 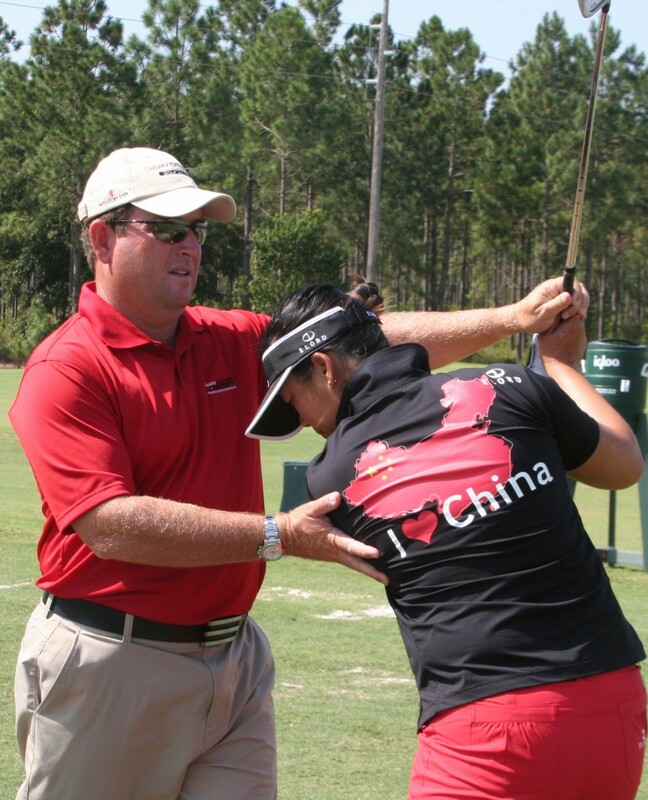 Like Shanshan Feng, Wang left her native Guangzhou in 2007 to work with Gilchrist when he oversaw instruction at IJGA. Now, Wang’s back home in China preparing for the upcoming 2010 Asian Games. Whether Wang and others will one day lead an onslaught of future Chinese pros remain to be seen. But many are starting to wonder: Is China the next Korea? “It all depends if they can financially get behind all their players,” says Gilchrist, who trained Korean LPGA Tour stars In-Kyung Kim and Song-Hee Kim as juniors. “The Koreans put a lot of money behind women’s golf. So at the end of the day, if you want gold, you got to buy gold and have the right training. Gilchrist said the final thing that needs to happen is a Chinese golfer needs to win a major event, much like Se Ri Pak did for the Koreans. Or PGA Championship winner Y.E. Yang, for that matter.